OMG Posters! 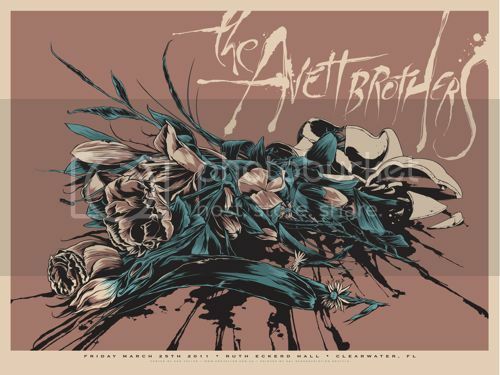 » Archive New Posters for Eddie Vedder and The Avett Brothers by Ken Taylor (Onsale Info) - OMG Posters! A handful of new concert posters by Ken Taylor will go up for sale tomorrow. His Eddie Vedder poster is an 12″ x 35.5″ screenprint, has an artist edition of 100, and will cost $50. If you’re new to poster releases, please read the tips on the product page. 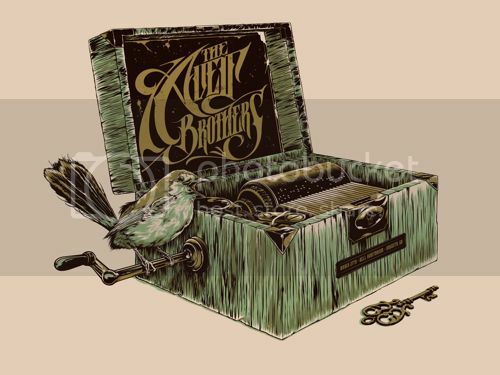 The Avett Brothers posters are 18″ x 24″ screenprints, have editions of 50, and will cost $25 (or $40 for both). Everything goes up tomorrow (Thursday, April 21st) at 2pm CST. Visit Postersandtoys.com. Will be trying damn hard for that Vedder, great work again Ken!